Thank you for visiting the webpage of DJ Walker Construction, a roofing company based in Las Cruces area. We are open to any questions you may have about the Las Cruces roofing products and services that DJ Walker Construction provides. DJ Walker Construction has been established in the Las Cruces roofing sector for several years as the perennial leader of roofing materials and workmanship. DJ Walker Construction will always deliver on its promise to ensure the best quality materials and the most driven roofers. DJ Walker Construction has an several offices situated in Las Cruces and is planning on expanding into other territories. DJ Walker Construction stresses integrity and breeds excellence. We are artisans and take pride in the roofing services we provide to our customers in the Las Cruces roofing sector.DJ Walker Construction 's motto is integrity and customer satisfaction breeds customer loyalty; and we will live and die by that adage. 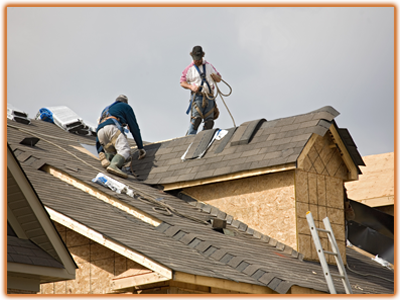 DJ Walker Construction also ensures that our prices are competitive for roofing in Las Cruces .We are aware that people want to balance cost with quality. DJ Walker Construction employs the "more for less" marketing strategy in the sense that we strive to offer the best materials and labor for Las Cruces roofing at a fraction of the cost of our competitors.DJ Walker Construction believes that by delighting our customers with a superior service we can expand our brand as an established leader in the Las Cruces roofing industry. DJ Walker Construction is open to customized Las Cruces roofing services to meet your unique tastes. As a reputable Las Cruces roofing service provider, DJ Walker Construction has roofing materials to meet even the most distinguished tastes. Serving Las Cruces, El Paso and Deming and the surrounding area.